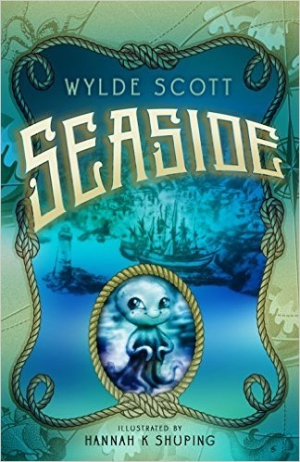 This whimsical fantasy about the unlikely partnership between a young boy, Robert, and a young octopus, Walter, is perfect for those who are just starting to read chapter books. The plot is complex enough to hold interest but still easy to follow. There is a clear boundary between good and evil and following Robert’s journey as he navigates between the two makes the story very compelling. The black-and-white drawings are dark and atmospheric, perfectly capturing the character of a small fishing village and its inhabitants. Ages 5-10.